Considering Hollywood's current obsession with sequels and big time franchises, it seemed that Legendary Pictures would want to hit the ground running on Godzilla 2 after the success of their 2014 Godzilla reboot. The development process on a follow-up has been slow, though. The sequel, which is officially titled Godzilla: King of Monsters, is still happening. And it will definitely be out in 2019. Now, we have word that the movie is scheduled to start shooting in just a few shorts months in Atlanta, Georgia. The news comes courtesy of Omega Underground who are reporting that Godzilla 2 will begin filming on June 19 with director Michael Dougherty at the helm. Gareth Edwards, who most recently directed Rogue One: A Star Wars Story for Disney, walked away from directing the sequel last year, so Legendary turned to Michael Dougherty. He recently headed up the writer's room for Legendary's "MonsterVerse" and that apparently went well enough to score him the gig directing Godzilla: King of Monsters. Prior to being hired to direct the sequel, he and Zack Shields were hired to write the script for Godzilla 2. Legendary has a long history with Michael Dougherty, since he wrote and directed the cult hit Trick 'r Treat, which was one of the first movies they ever released. The movie didn't do much at the box office but has found a very big audience in the years since. In 2015, he wrote and directed Krampus, which made $61 million on a relatively small $15 million budget, which made some money for the studio. That, coupled with the work he did in the MonsterVerse writer's room, he seems like a very logical choice for Godzilla 2. He has never done anything on the level of 2014's Godzilla, which had a reported budget of $160 million, but neither had Gareth Edwards prior to the first Godzilla. Details have been somewhat scarce for Godzilla 2, but we know there will be other monsters in the movie for Godzilla to go toe-to-toe with this time around. 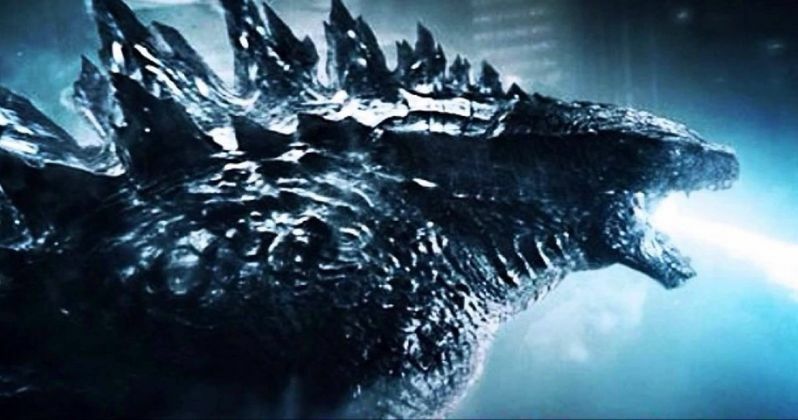 There were some new monsters created for 2014's Godzilla, but the sequel is going to feature some of the classic Toho monsters such as Rodan, Mothra and King Ghidorah. As for the cast, it hasn't been confirmed if Aaron Taylor-Johnson, Ken Watanabe or Elizabeth Olsen will be back this time around, but the movie has already started casting. Recently, it was announced that Stranger Things star Millie Bobby Brown has been cast in Godzilla: King of Monsters, which is a very promising place to start. Godzilla made a pretty impressive $529 million worldwide and was a dramatic improvement over the last American attempt to bring Godzilla to the big screen in 1998. That encouraged Legendary to assemble a cinematic universe around the monster that will continue this year with Kong: Skull Island, which is set for release on March 10. Godzilla: King of Monsters will then follow on March 22, 2019, which will be followed by an epic rematch in the form of Godzilla Vs. Kong, which is set to debut on May 29, 2020. Hopefully now with production starting in a few months we will be getting some more solid details and maybe even our first look at Godzilla 2 pretty soon.